Look at poor little Muley. Skulking in the dry fields at night, ducking headlights, peering through windows, moaning and whimpering like a hungry ghost. We recognize actor John Qualen by his voice but the rest of him is shadowy and more frightened than usual, even more anxious than Qualen’s Earl Williams, the timid killer from His Girl Friday. Muley’s share-cropping family was tractored out by the cats and now he’s left to haunt the empty homestead in John Ford’s The Grapes of Wrath. But he’s not the only one. Muley’s kindred spirit is Preacher Casy (John Carradine), another lost soul but one with a vengeance. Ford and cinematographer Gregg Toland light Casy from underneath to emphasize his wild eyes, and his “touched” bass voice resonates on moonless nights. Casy is just as crazed as Muley and is under no illusions about who’s to blame for the forced migration that put him and thousands more like him on the road. When Casy speaks we can almost hear the voice of Woody Guthrie, who loved Ford’s adaptation of the John Steinbeck novel so much he wrote a song about it. Casy will not be disrespected. He’s more powerful dead than alive. 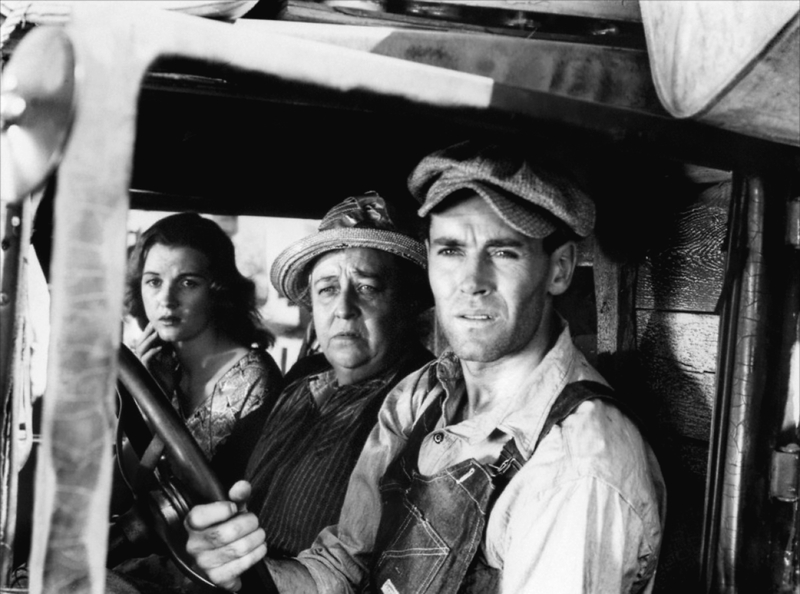 Tom Joad (Henry Fonda), the number one desperado of Ford’s hardest, most enduring masterpiece, is an ex-con aching for the taste of home but doomed to never find it. His midnight farewell to his mother (Jane Darwell) is taken whole from the novel, by Ford and screenwriter Nunnally Johnson. An unforgettable call to arms, it sends a shiver down the spine. The story of the Joads is the Great Depression, a landscape of loneliness, regrets, fortitude, and hope, captured forever in the magic emulsion by Ford and his company. The gothicism is as pronounced as the social realism, but you’d never get Ford to say anything about style. He liked the book and just did it, with encouragement from 20th Century Fox’s Darryl F. Zanuck. We can think of other “Depression specials” that moved us almost as much: King Vidor’s Our Daily Bread; Gold Diggers of 1933; I Am a Fugitive from a Chain Gang; Wild Boys of the Road and Heroes for Sale (these two by William Wellman); all the versions of Steinbeck’s Of Mice and Men ; Gregory La Cava’s priceless My Man Godfrey ; Sullivan’s Travels; The Night of the Hunter ; and a mesmerizing 1979 TV documentary produced by John Bird, called America Lost and Found. But the shouts and whispers of Fonda, Carradine, Darwell, and Qualen keep pulling on our coat. 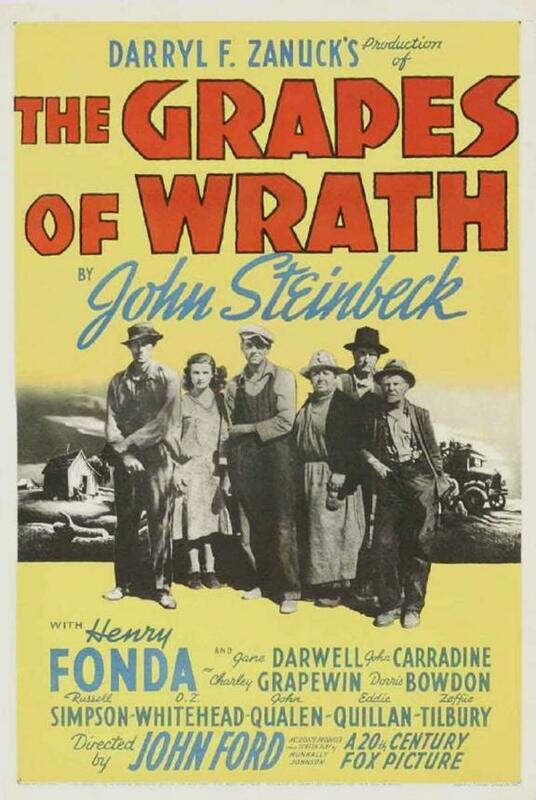 The Grapes of Wrath is showing one night only, Wednesday, June 18, at the Berkeley Art Museum / Pacific Film Archive, in a restored Digital Cinema Package (DCP), to celebrate the 75th anniversary of its release. Why digital and how restored? 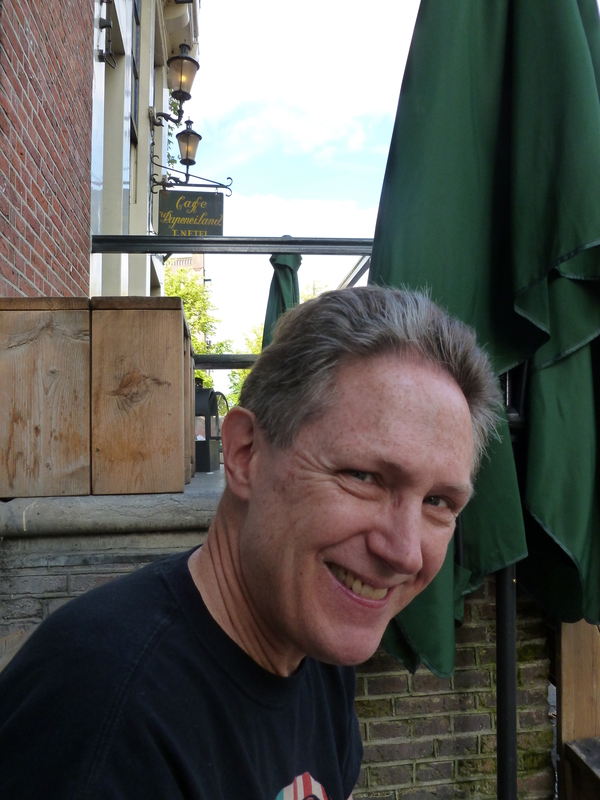 According to BAM / PFA curator Steve Seid: “About two years ago, a newly tweaked Blu-ray was issued. I think they did a digital restoration for that project. Supposedly, the original negative was lost or heavily damaged years ago so little was done with The Grapes of Wrath. There might be a 35mm print floating around but it is most likely struck from the same file.” For more info, visit the PFA online here. This entry was posted in Films and tagged Films, Henry Fonda, John Ford, Pacific Film Archive, restoration. Bookmark the permalink.